Winners! 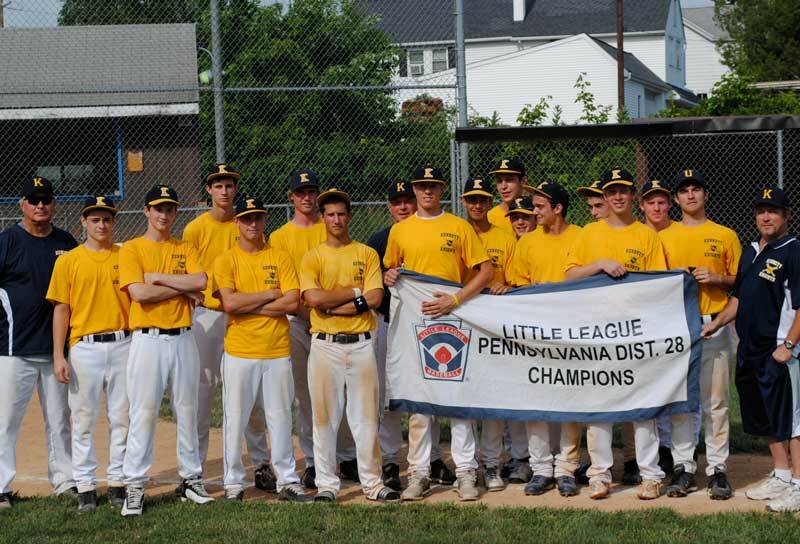 The KAU Knights won the District 28 Little League Senior title. KENNETT SQUARE — On a very sunny and hot Saturday afternoon, at the MacQueen tournament held at the NVF field in Kennett the KAU Knights had a 10-0 shut out over Naamans in six innings. James Chapman a rising senior at Unionville High School had a walk off double in the bottom of the sixth with bases loaded. Teddy Wilkes a graduate from Salesianum, scored the 10th run to seal the District 28 championship for the Knights. Nick Massetti a recent graduate from Kennett High School pitched 5 and 2/3rd innings of the game with one hit and eight strikeouts’ while on the mound. 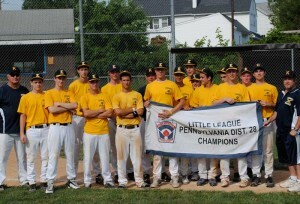 Nick has committed to playing division II baseball for Shippensburg in 2012. Matt Christopher came in for relief to get the last strikeout for the Knights on the mound. Nick Letang(junior-UHS), Chapman, and Massetti each had a double for the 17-18 year old team. Many of the players from the Knights, coached by Mike Robinson are headed to the state tournament which begins next Thursday at Mansfield University in Northern PA.